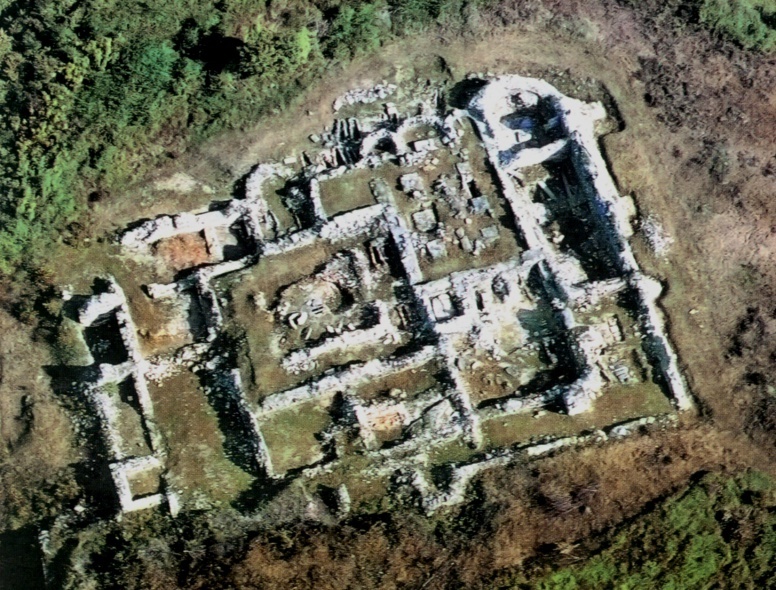 The archaeological site of Rudina lies on the slopes of Mount Psunj above the present-day villages of Čečavac and Šnjegavić. Rudina experienced its golden age during the Middle Ages, when a Benedictine abbey of St. Michael existed at that position. Turkish troops burned down the monastery in 1450, and in 1536, the abbey ceased functioning. 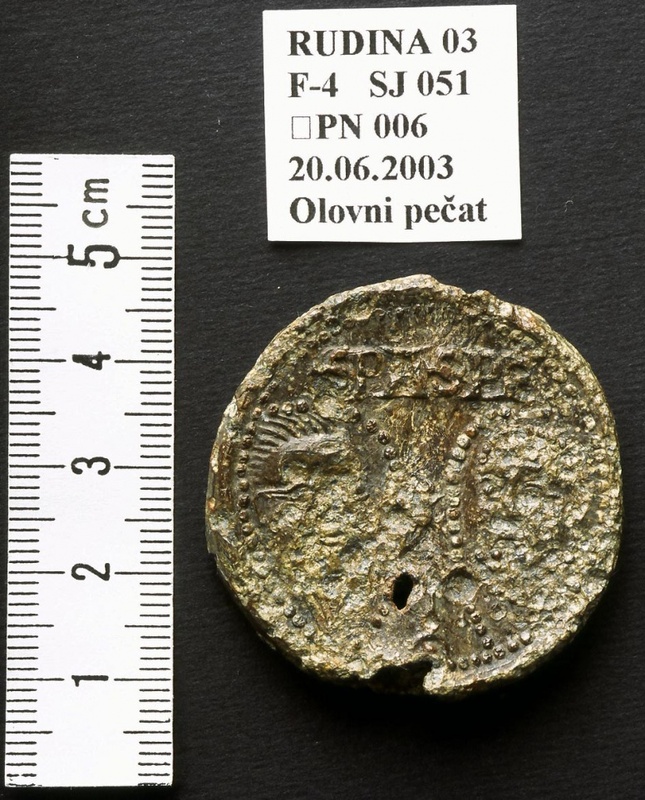 The research of the site was initiated in 1980 by Dubravka Sokač-Štimac from the Požega Municipal Museum. These investigations led to the discovery of a small Romanesque church. In the continued investigations in 1986-1989, a three-naved Romanesque monastery church was discovered, with three semicircular apses, a sacristy and a bell-tower, in addition to a complete monastic complex. A Gothic church was discovered along the southern side of the church. The finds of prehistoric pottery point to the existence of a settlement at this position or nearby. Based on the numerous finds of Roman bricks it is also plausible that the site was occupied by a Roman settlement, too. This assumption is corroborated by the discovery of a tomb in which, above the head of the deceased, there was a slab with an incised depiction of a fish, with traces of ansa and trefoil discernible next to its head. It is dated to the 3rd-4th centuries, as corroborated by radiocarbon analysis. In 2002 and 2003, the Institute of Archaeology carried out a short revision investigation lasting a couple of days. 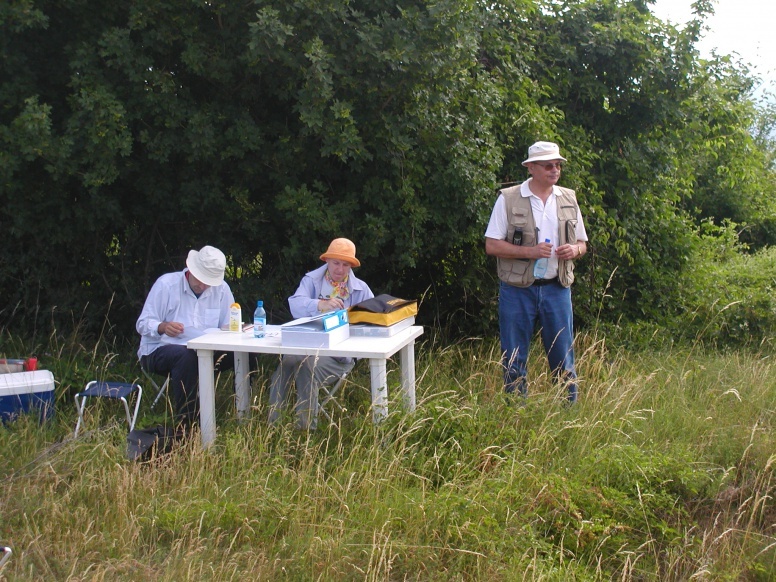 The research in 2002 focused on clearing the situation and documenting the present situation in the area of the western façade of the monastery church. The area of the northern and central apses, and the space in front of them in the eastern part of the church nave were investigated in 2003. Out of the six graves discovered on that occasion we can single out grave 59, whose fill yielded a lead papal bull. 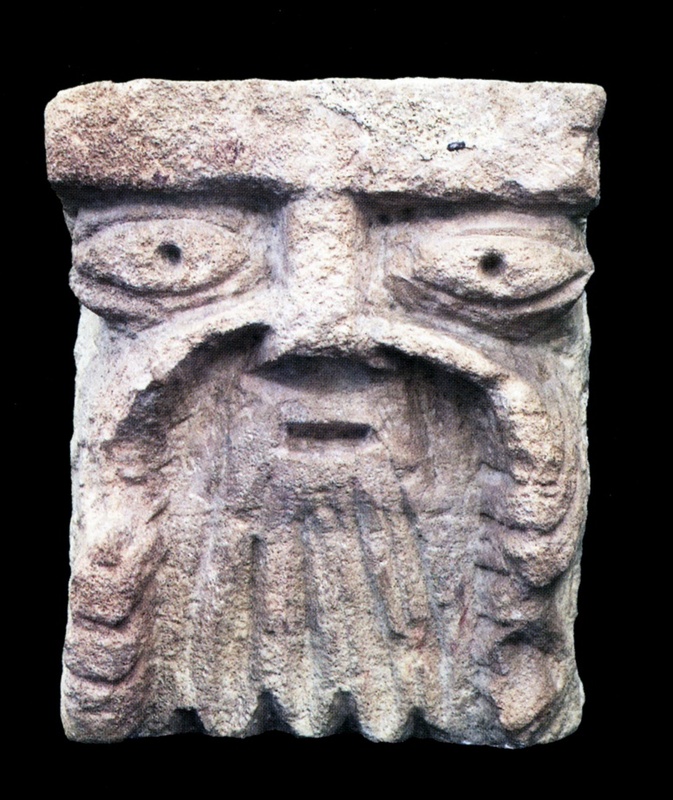 Even though extensive investigations of the monastic complex were carried out, they still have not been completely published, so Rudina remains known worldwide only for its famous Rudina heads - sculpted corbels that ornamented the roof cornice of the apses of the Romanesque monastery church. Goss, V. P. 2010, Rudina, sva lica, Muzej hrvatskih arheoloških spomenika, Split.